Tracks to monitor horse injuries. 30 racetracks to participate. It appears to be US tracks only. George Hosang to receive Avelino Gomez Award. I remember going up to the third floor of Woodbine in the late 70's and early 80's to see Hosang's Jamaican cheering section. "Bumba clot, blood clot was heard quite often. More on the 300 million dollar smoke and mirrors deal that will never ever ever happen at Fort Erie. A three hundred million dollar investment and Fort Erie's ownership couldn't field one rep for the media unveiling of the proposal. They aren't even talking about expanding gaming beyond slots. This is such a joke. This article includes a picture of the Fort Erie plans. Arlington's polytrack a success so far Betting up, injuries way down. the Fort Erie Race Track. That's the size, in terms of dollars, El Ad Group (Canada) Inc.
century-old border oval, complete with a four-star hotel. day. Full story in Tuesday's Review. Gimme a break. This will never happen. With the upcoming mandatory passport laws, the probable Buffalo casino, and the fact that Niagara Falls actually has one of the World's Wonders and tables to boot, who the heck is going to go to a "world class" complex in Fort Erie. I understand that they want/think the government is going to pay for much of it. I don't think the Canadian government is that stupid. Niagara Falls has turned into a bit of a bust for them already, and Fort Erie makes zero sense. This is just a way for Fort Erie to try to find a buyer who is naive enough to think that this plan is in the works. Fort Erie introduced a new announcer today. He did a pretty decent job. Short fields made it easier, but he seems to know what he is doing. Ohio Senate OK's Instant Racing. Track operators to get 12% of the profits. Look for purse increase in Ohio. Canadian Hall of Fame inductees announced. Finally, Natalma made it. Woodbine Bias Report from Brisnet Pick 7 Carryover is getting up there. There will be more than 200,000 up for grabs tomorrow. And 200K Canadian is more than 180k US these days. Lots of outside winners today and the track has some give to it allowing for off the pace runners to have a chance. In the first leg (the 2nd race), Banker's Street looks like an immortal lock. I can't believe she is in for a tag. $80K is a lot of money, but she is a 3 year old Canadian bred who ran an absolutely huge number two starts ago. I wonder if she hurt herself in the Fury. According to financials posted at Equidaily, Gulfstream slot numbers have dropped off from $415 in November to $68 per machine in May. Who goes to Florida in May anyway. To me, Circular Quay did not have much of a chance in the Derby because he was off since March. Going a mile and a quarter against a field that is pointed towards running that distance, who mostly a good race within a month of that event, was too tough a task. Circular Quay ran very well considering. He has a good back number from March 10th as well. He has beaten Street Sense before too. I like the angle of either horses who quit a bit and are now going further or horse who closed in their last and now are going shorter. That means Circular Quay, Curlin, and Street Sense all fit. Hard Spun, who raced very well in the Derby, is a great bounce candidate. That was a very tough race for him. Horses get brave on the lead, and he ran his guts out in the Derby. There is a lot more mean speed in this race too. Unless Pimlico has a major speed bias today, the winner is coming from the clouds. Note: you can make multiple selections in this poll. You can check all five boxes if you want. Feel free to leave comments on the post too. At Woodbine, the going rate for day pay is around $70-75. Some trainers charge as low as $60, and some are as high as $90. Correct me if I'm wrong. At Fort Erie, the average trainer is charging between $45-$50 a day. The purses are much much smaller there. Some trainers are charging $40 a day, and a very few advertise that they are $60 a day. It is near impossible for an owner to make money with a Fort Erie horse when you take vet and day pay into account, even at $45 a day. If a trainer has a Woodbine horse training at Fort Erie (Fort Erie still has lots of empty stalls for this), an owner has to take into consideration that shipping to Woodbine ($200 a race) is really just added day pay. So on average, that is another $10 a day. Should trainers make money in the morning? Sure, there is no guarantee they will make money on 10% of the purses. Seneca Gaming has also completed construction on a temporary Buffalo casino...but is waiting until litigation over the site is resolved before slot machines are installed on the site. ORC new ruling for Standardbreds on purse redistribution due to purses being taken away for positives or ineligibilities. 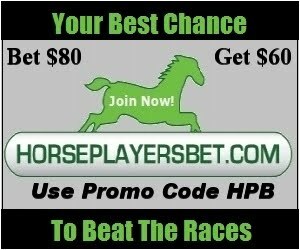 Instant Racing being lobbied hard in Ohio It is almost guaranteed that if Ohio allows Instant Racing, the purses for horse races will get a needed boost. Aubrey Friedman's Suspension To Be Reviewed His case is probably a first. He is a harness owner who can't enter his horses at WEG racetracks because 3 of his horses tested positive for EPO. They usually only come down on the trainer for positives. Presque Isle Downs, the soon to be newest racetrack in North America to install TAPETA surface instead of Polytrack: 'Tapeta surface primarily consists of sand, with the addition of rubber and fibers coated with hot wax. Preparation for the installation of the new track is currently underway at Presque Isle Downs. Woodbine starts to redo its broken surface The track has played much fairer this week. Fort Erie based Owner-Trainer Daryl Ezra wins back to back races yesterday at Woodbine. Both were over 10-1. His day rate for new horses has now gone up from $50 a day to $60. Arlington debuts special second finish line for 1 mile and 1/16th races. Woodbine bias report Early speed horses finally didn't dominate last week, and the outside became a little more alive too. Three long shots for tonight at Woodbine: Quelle Beaute in the 6th, Figs in the 7th, and Run On in the 8th. Fifteen nominated for Canadian Horse Racing Hall Of Fame Natalma, Northern Dancer's mommy, isn't in there already? Standardbred Canada launches SC Horses for Sale Board. For $50 a month, an owner or agent can list a horse for sale. Here is a direct link to the site. Sky Conquerer rallies for Grade One win at Churchill. Casino driving players from the track in Philly People like to gamble, but the track take-out is killing horse racing quickly. Time for a change. I don't usually feel strongly about my selection for the Kentucky Derby, but this year Street Sense has way too many angles: Great post. 3rd race of the year. Has carried over 120 pounds successfully. Best Beyer in the race (though I'm not a big Beyer fan as I am a speed figure fan, I'm dealing with the numbers I have to work with). The high speed number occurred at Churchill Downs. His last race was pretty much even, though I prefer a horse stretching out to have lost a little ground (this is a better sign that the horse wasn't in peak form last race). He has been running good distances, I'm not crazy about seeing sprint races on a Derby contenders form from the fall on. He'll have plenty of speed to run at and can definitely come from 6th or 7th to win this one. And the jockey knows the horse. (Amer. slang) certain of the result, a foregone conclusion Example: The Jets are a lead pipe cinch to win the game. They're better. Etymology: The figurative sense of "cinch" is recorded from the 1880s on. Generally, it's the piece of a lead pipe that might have been used to tighten a strap. Maybe, the origin is in the plumbing trade itself, on the basis that there might have been some device that held, or cinched, pieces of pipe together. It might have been a version of a device sometimes known as a strap wrench, which is used when the jaws of a standard monkey wrench would damage the item being worked on. In all cases, "cinch" came from the saddle-girth meaning of the word, which itself had been borrowed from Spanish "cincha" in the 1860s. A saddle that had been tightly cinched was secure, so something that was a cinch was a safe or sure thing, an idea which developed into the slang sense of something that was a certainty. "Lead-pipe cinch" suddenly appears in the early 1890s. It's obvious enough that a lead-pipe cinch is one up on the common or garden variety of cinch, so that "lead-pipe" here is what grammarians call an intensifier. But why should it be so? This is where we part company with the facts and go drifting off on the wayward currents of surmise and supposition. Robert Chapman's "Dictionary of American Slang" suggested it is because a lead pipe is easily bent, "in case one has bet on such a feat". Eric Partridge thought it came about through the effectiveness of a length of lead pipe as a weapon. Jonathon Green argues it is the solidity of the lead pipe that is most important. Unlike many modern urban folk, in the 1890s everyone who used the phrase knew exactly what a cinch was in its literal sense. So "lead-pipe cinch" had to resonate somehow with that. Jonathon Lighter, in the "Random House Historical Dictionary of American Slang", points out that there was a brief flowering of another sense, that of having an especially firm grip on something. The idea was presumably that if a leather cinch was effective, one made of lead would be even more so, or that one's grip on lead pipe could be firmer than on a leather strap. Note to Buffalo, check out what is happening in Niagara Falls, NY. They are broke, but the Seneca Indians are rolling in tax free dough. Look for Woodbine horses who can't handle to Polytrack to be more of a factor this year at Fort Erie Every year, classier Woodbine horses come to Fort Erie to drop in and steal some money, but this year will be different I think. More classier horses who have a dislike for the Polytrack will wind up making the trip down the QEW and I believe will win at even a higher frequency than before. It is pretty expensive to own a horse at Woodbine, and if a horse just isn't made for the Poly, quicker decisions to cut losses will be made. Another edge the Woodbine shippers will have is the fact, that from what I'm hearing, a race on the Poly is quite a workout. It gets a horse pretty fit for the future. This will bring a lot of potential bargains to the Fort. However, since the purses at the Fort are uneconomical for most who pay trainers a day pay, the real bargain occur if a claim is made and the horse is eventually shipped to a non Poly track in the US that offers good purses.